I have now read 15 books by Chris d'Lacey in under a year. With every book I enjoy his skill as a writer more. 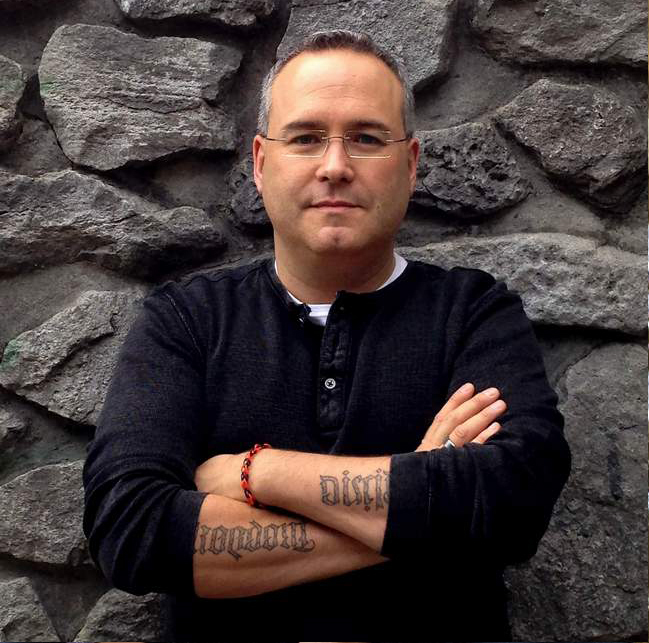 He has a way of drawing readers into the subjects. It was wonderful to go back and read this one of his earliest books. My son and I tracked down that one after reading A Hole in the Pole. It has most of the same characters and continues on the same track. And again it was great seeing precursors to characters from both The Dragons of Wayward Crescent and The Last Dragon Chronicles. 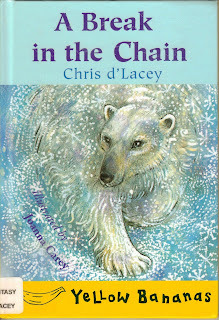 All three of my children love this book and many other we have read by d'Lacey. This is the continuing story of Billy Cockcroft, but this time instead of being concerned about the hole in the ozone at the North Pole, the focus is on the effect of an oil spill in the arctic. This time Billy becomes responsible to explaining about the Polar Bear's food chain. But the TV news about the oil spill and the effect it is having. 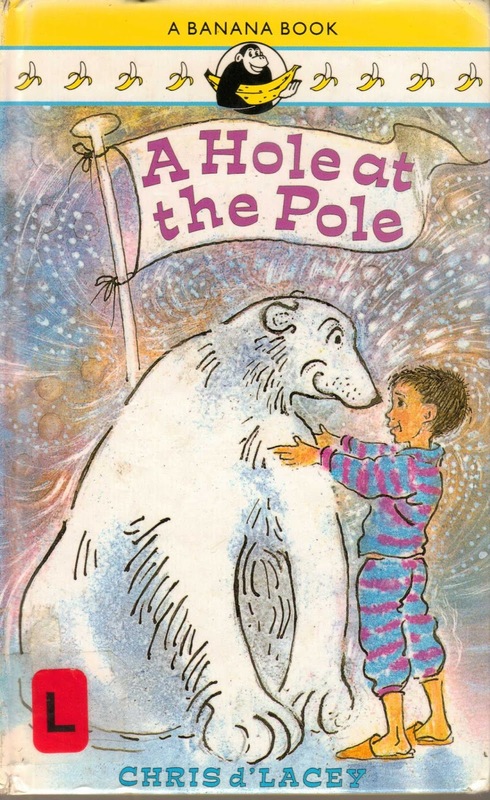 Soon Billy has another mystical experience with the Polar Bear Lorel and through that mobilizes his class to raise money to help with the clean-up in the artic. They soon raise awareness locally and through the news much further afield. The story is very well written. It has great characters, an interesting plot and a great pace for early readers transitioning from picture books to early chapter books. My children loved the clean-up project they tried. They were also fascinated with the descriptions of early computers and computers arriving in the class room. They asked if that was what it was like. 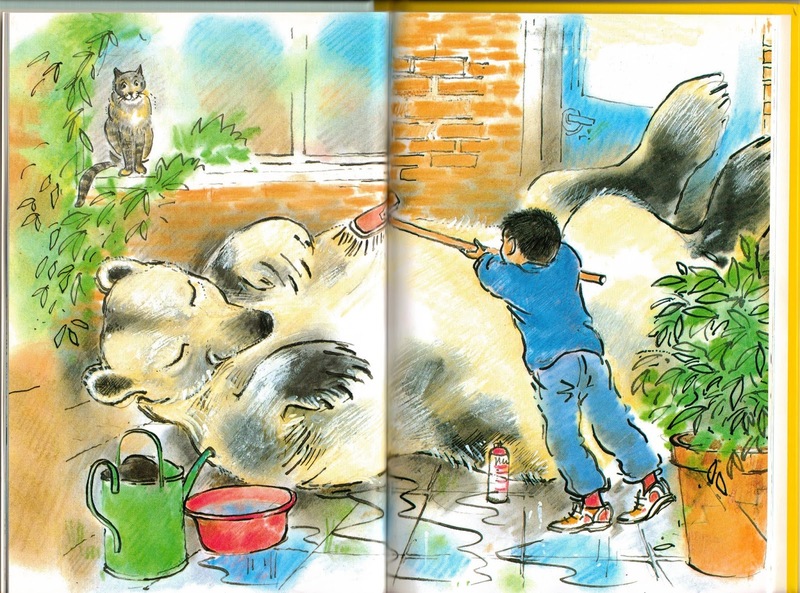 The illustrations really add to the story. Towards the centre of the book is a full double page illustration that my son has spent a lot of time going back to. They are bright, and really are fun. Chris d'Lacey is currently my favourite author. I have acquired all of his eBooks and have been slowing tracking down his older out of print books, like this one. I have yet to encounter a story that my children do not love, and that I also greatly enjoy. This was a wonderful read and is well worth tracking down. 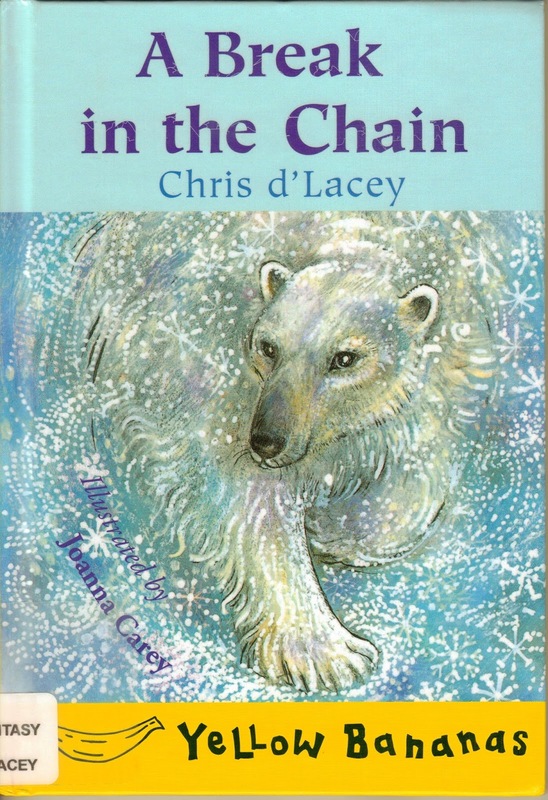 Chris d'Lacey writes in such an engaging style that children love his writings and those who read to and with them will also. I can highly recommend this book.